While I’m still a huge fan of traditional publishing, I’m also all for the opportunities that are now available for those who want to go it alone. And as an editor, I’m impressed and admire those indie authors who go the extra mile to make their books professional. Megg Jensen is one such author, which is why I’m happy and excited to talk about her new book, which is coming out in January. Megg writes young adult fantasy, and if you haven’t tried it yet, you should check out her Cloud Prophet Trilogy. Anathema, the first book in the series, is great fun. 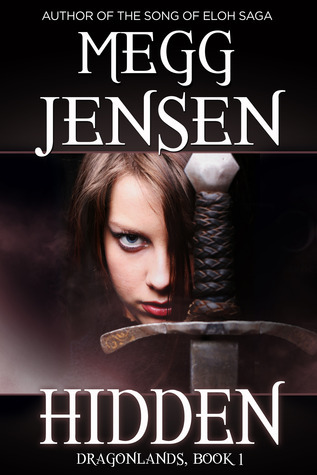 If you want to win an eARC of Hidden and a swag pack, leave a comment on this post and one lucky reader will be chosen randomly. Add the book on Goodreads and tell me about it below for more chances to win. The winner will be decided on Dec. 13 and prizes will be sent out after Dec. 20. Here’s where you’ll be able to find the book once it’s available: Amazon, Barnes & Noble, Kobo and iBooks. And catch up with Megg here: Facebook, Twitter, Pinterest, Goodreads and on the web. I am also part of this book blitz, it sounds like an interesting book! Already added it to my to-read list on Goodreads!